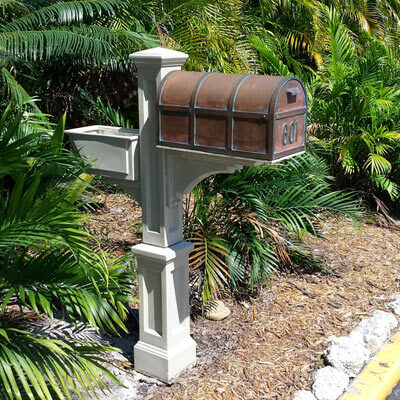 Handcrafted Oxford Post Mount locking mailboxes go beyond simple curb appeal. 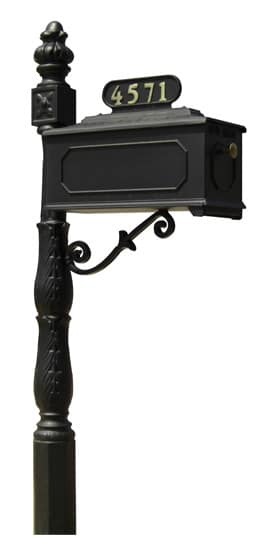 Oxford is a Streetscape Mailbox design, handmade in Huntington Beach, California. Crafted from heavy gauge solid brass sheet and bar stock, every Oxford locking mailbox is hand cut and spot welded in over 100 spots for a strong, durable locking mailbox for years of reliable service. 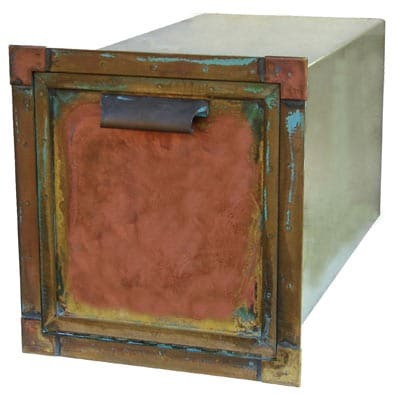 Brass products have a distinctive look and character and this locking mailbox has a polished antique patina finish that never needs maintenance. Magnetic catch makes door snap closed, keeping mail secure. 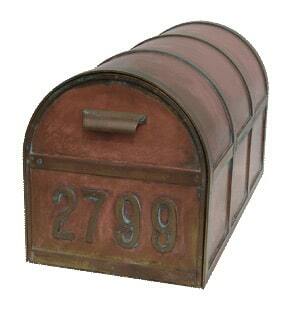 Customize this Oxford mailbox by adding matching brass mailbox address numbers. A locking mailbox insert (shown below) insures mail will be stored safely. 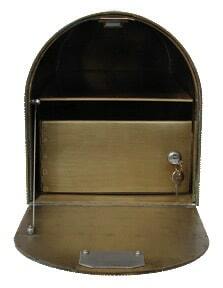 Made from tamper resistant solid brass, the mailbox insert comes complete with 2 keys. Inside mailbox shelf holds mail for pickup and an optional matching brass mailbox flag is available. Mailbox flag stays in up position and includes nylon sleeve insulated mounting hardware for smooth movement. 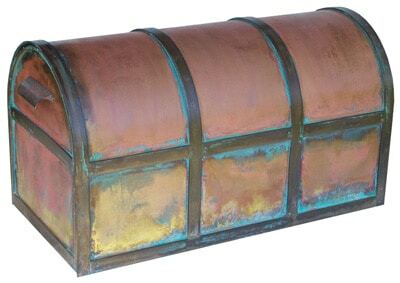 Natural brass finish ages to a darker, duller patina. No two will ever look the same! 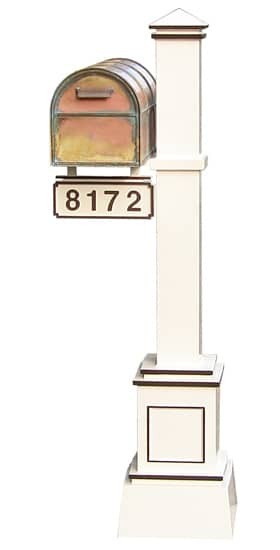 Order matching brass mailbox numbers to personalize your mailbox. Why buy another factory replica? Oxford locking mailboxes by Streetscape offer individual appeal coupled with secure mail delivery. Mailbox Works specializes in residential Mailboxes. 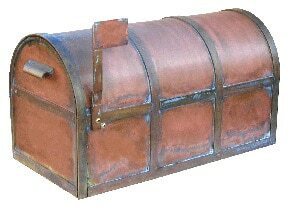 Take a look at some of our other Locking Mailboxes.